Not sure if there has been any criminal prosecution for this, but there is a lawsuit. Hard to see how the murder victim was a threat when sht Cops shot him in the back. The sister of a South Carolina man who was killed by police after a high-speed car chase claims in a lawsuit that three officers shot her unarmed brother 17 times in the back — as he lay on the ground. Waltki Cermoun Williams “did not have a weapon” and was struck in total by 19 of the two dozen shots fired at him during the deadly confrontation on Dec. 10, according to a lawsuit filed in Sumter County. The lawsuit, filed on behalf of Williams’ sister, Tomekia Kind, seeks unspecified damages. Williams, 35, was black. The race of the officers who filed the fatal shots was not specified in the court papers and they have not been identified. There was no immediate comment from the Sumter Police Department beyond a denial of the allegations laid out in the lawsuit. “We haven’t even been served with the lawsuit yet,” spokeswoman Tonyia McGirt told NBC News. “This incident shows the devastating, far-reaching effects of domestic violence,” he said in a statement. Williams was no stranger to police. He was twice found guilty of stalking and also had several motor vehicle violations on his record. He had also been accused of trying to sell a stolen car and entering a bank “with intent to steal.” Both those charges were dismissed. Elliott said the chain of events that ended with Williams’ death began with an argument with a girlfriend in a parking lot at the Sumter Mall. The brief chase began when Williams crashed his SUV into a couple of cars. The SLED investigation is ongoing, Special Agent Thom Berry told NBC News. “We have not concluded our work on the matter,” he said. The lawsuit lays out a different scenario — and there is no mention of any exchange of gunfire. It says that after the crash, Williams escaped his vehicle by smashing through the back window. But he only managed to take about 10 steps before he was tackled by police. Will a killer cop go free in Texas? 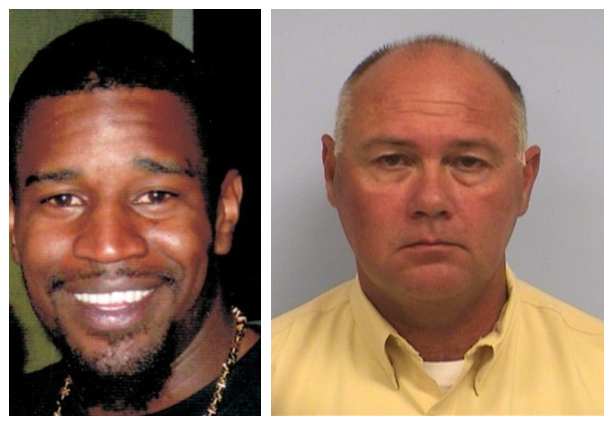 ON JULY 26, 2013, Austin, Texas, police detective Charles Kleinert racially profiled Larry Jackson Jr., proceeded to chase him down over a crime he didn’t commit, and shot him in the back of the neck at point-blank range. Last week, Larry Jackson’s family sat in a courtroom and listened as Kleinert took the witness stand and justified everything he did that day, including killing Jackson. “He showed no remorse,” said Larry’s sister LaKiza Fowler. The police claim that they encountered Jackson while investigating a robbery earlier that day at the Benchmark Bank building. Jackson attempted to enter the bank, allegedly claiming to be someone else, but was stopped at the locked doors. He tried to run when Kleinert went to question him. Kleinert, described by a witness as “out of control,” then pursued Jackson, even commandeering a car to catch up to him. When he did, he beat Jackson. Kleinert then placed his gun to the back of Jackson’s neck and pulled the trigger. TESTIMONY AT the hearing last week confirmed many of the glaring flaws in the police story that have led Jackson’s family and their supporters to condemn Kleinert and the Austin Police Department (APD) for a racist murder and cover-up. One witness, who worked at a hospital nearby, was the woman who had her car commandeered by Kleinert. She recounted how Kleinert stopped her, ordered her to unlock her door, got in and frantically yelled to drive down the street toward where Jackson was running. Kleinert was “red in the face” and so “reckless” that she wasn’t sure if he was a police officer, the witness said. Another witness was David Dolinak, the then-chief medical examiner for Travis County, who reported the findings from Larry’s autopsy. There was a “dark muzzle imprint” around the gunshot wound, according to Dolinak, meaning that Kleinert’s gun was pressed to Larry’s neck when the fatal shot was fired. The system is unfair. There are clauses in the law to let cops get away with what they do. What you hear in the news is not true. 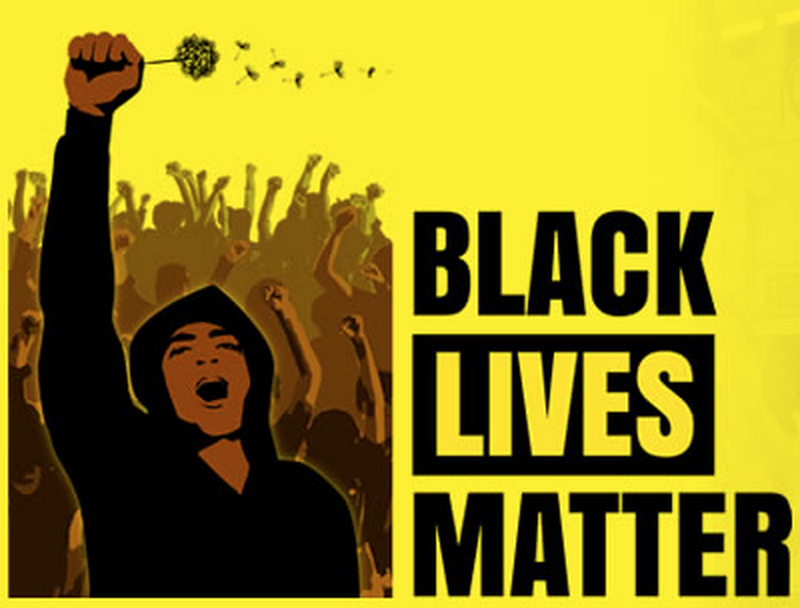 They only give you bits and pieces, and a certain narrative–the police narrative. I want people to see Larry’s humanity. He had three children, a mother, a father, myself, his sister, his only sibling, my daughter, and many other relatives and friends. This humanity is flatly rejected by the APD and its powerful allies, and has been since day one. The APD stalled for a full day before informing Larry’s mother of his death, even after she filed a missing person’s report. The woman whose car was commandeered expressed similar problems with the department–she attempted three times later that day to report Kleinert’s actions, but the police didn’t take her seriously. In fact, Austin police were busy getting their story straight and preparing a smear campaign against Larry, joined by the local media and the courts. Kleinert’s lawyers have been attempting to paint Larry as a criminal and Kleinert as the hero cop who was simply carrying out his duties. In court, they pushed the medical examiner to talk about finding traces of PCP during Larry’s autopsy, suggesting that this made him act erratically. Currently, Kleinert’s lawyers are attempting to get him off on a technicality. He worked on a federal anti-fraud task force at the time of the murder, and duties performed in that role are immune from state prosecution. In court, Kleinert said that he suspected Larry was at the bank to “commit fraud,”, and he thus had probable cause for the chase, justified by his federal duties. Prosecutors pointed out the absurd logic, since Kleinert didn’t even have probable cause to search Larry at the bank, much less chase him down and kill him. However, LaKiza and other activists involved in the Black Lives Matter movement know the courts work on the basis of power, not logic. It wasn’t until May 2014, almost a full year after the murder, that Kleinert was even indicted. The charge was manslaughter, not murder, and only came after months of rallying and marching–organized the People’s Task Force, a local anti-racist organization–to put pressure on the Travis County district attorney. Since then, the case has been repeatedly delayed in the courts, and Kleinert’s lawyers have attempted a series of legal maneuvers. The federal immunity claim is the most recent, and could lead to Kleinert going completely free.